The Luch-2 or Gelios satellites were the second generation of Soviet and later Russian data relay satellites. These satellites were improved versions of Luch (Altair) series and provided communications service to the Mir space station, Buran space shuttle, Soyuz-TM spacecraft, military satellites and the TsUPK ground control center. Luch-2 was built by NPO-PM based on their KAUR-4 3-axis stabilized geostationary satellie platform, which featured plasma station-keeping engines and hydrazine monopropellant orientation engines. The 2600 kg satellites featured three large antennas and numerous, small helical antennas permitted data relays in the 15/14, 15/11, and 0.9/0.7 GHz bands. Each satellite was equipped with three Arion transponders by NPO Radiopribor for data transmission. This improved model allowed two high data rate channels to operate simultaneously, permitting transmission of real-time television from Mir. The design life was five years. 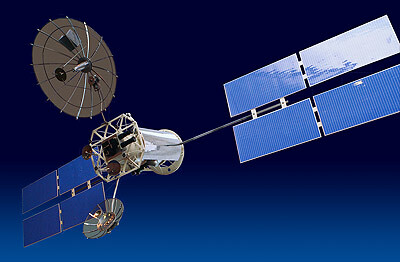 The first satellite of this series Luch-2 1 (Gelios 11L) was launched in 1995. A second satellite, Gelios 12L, was destroyed in an fire at Baikonur in January 1995 and never repaired or replaced. After a long hiatus, the Luch series was eventually continued with the launch of Luch 5A in 2011.